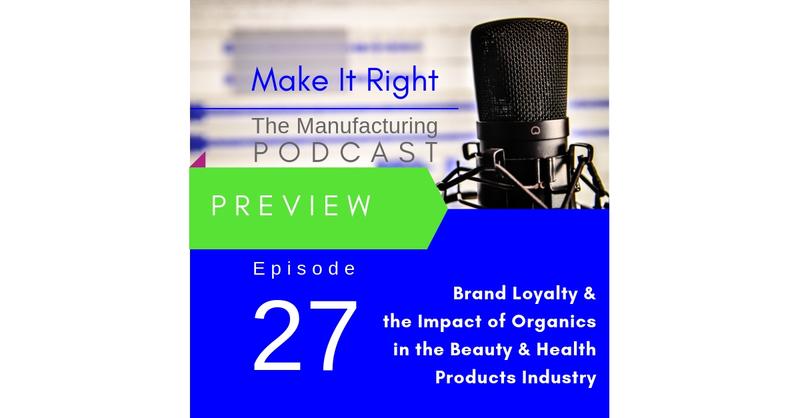 This week on the Make It right Podcast it is part 2 of Janet’s conversation with beauty and health products industry veteran Patty Schmucker. With 40 years in the industry she provides valuable insights on the power of brand loyalty. She also discusses the organics product industry from her perspective as a pioneering distributor who was right at the forefront of the organics industry. Full show coming Friday.